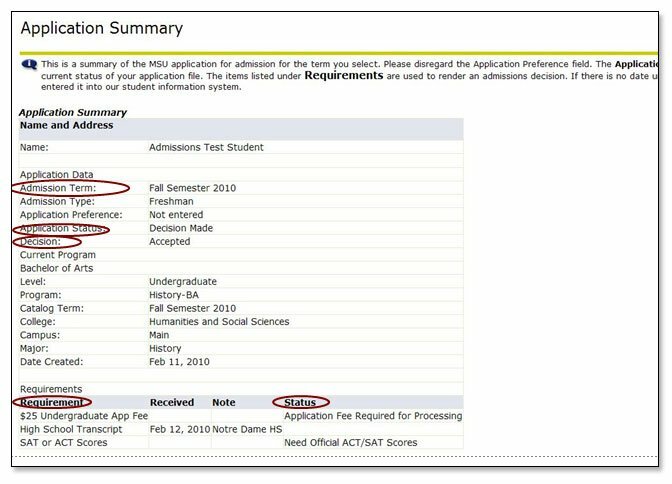 Look under Processed Applications for the Admission term. "Click on term"
Look at Application Status: This tells you the status of your application file. Look under Requirements: This tells you what we use to render a decision.